선종영가집(禪宗永嘉集)은 당나라의 승려 현각(玄覺)이 선종(禪宗)의 교리를 알기 쉽게 풀이한 것으로, 조선시대에 우리말로 풀이한 언해본(諺解本)이 많이 전해진다. 이 책은 닥종이에 찍은 목판본으로 한 권의 책으로 엮어졌는데, 크기는 세로 26.9㎝, 가로 16.6㎝이다. 책 끝의 간행기록에 의하면 고려 우왕 7년(1381)에 충주 청룡사에서 담여(淡如), 각눌(覺訥), 이인린(李仁隣) 등이 판각하여 간행하였음을 알 수 있다. 책이 만들어지게 된 정확한 기록이 있을 뿐만 아니라, 인쇄가 선명하고 매우 깨끗하게 보관되어 있다. 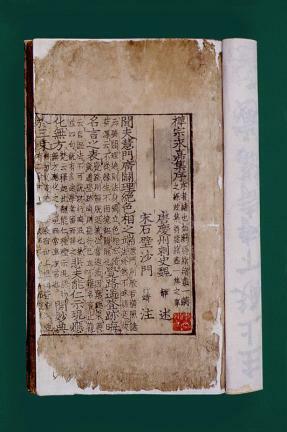 ‘Essence of Zen Buddhism’ was annotated by Hyeongak, a monk of Tang, who interpreted the Zen doctrine in simple terms for people to easily understand it. 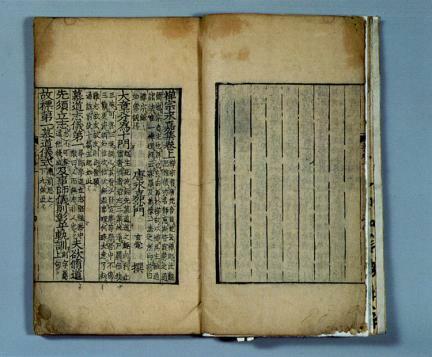 There are many Korean annotations of the Zen from the Joseon Dynasty. Being a woodblock-printed book on mulberry paper, it is bound as one volume with a length of 26.9cm and a width of 16.6cm. According to the publication record on the last page, it was published by Yi Inrin, Gangnul and Damyeo, who printed it from woodblocks in Cheongnyongsa Temple in the 7th year of the reign of King Uh (1381). It gives an accurate account of how the book was made and moreover, it is printed clearly.